Insert the headset own 3.5mm jack plug into the Gamepad, then long press the PS button or enter the system Settings. There will be a peripheral machines, choose "Adjust Sound and Devices", "Output to the headphones", then change it to "all audio". 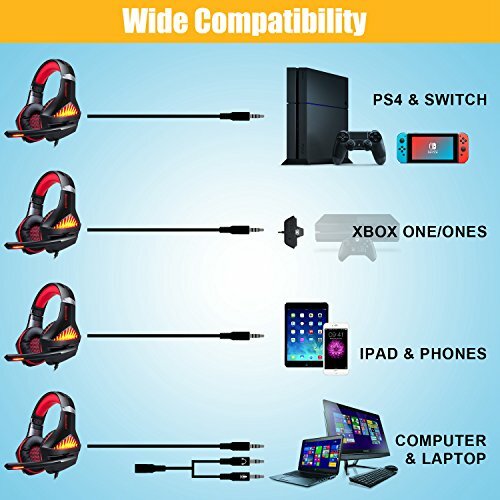 【Widely Compatible and Versatile】This 2018 Upgraded Gaming Headset is mainly designed for PS4 gamers, it also supports New Xbox One, PC, Nintendo 3DS, Laptop, PSP, Tablet, iPad, Computer, Mobile Phone. Please note you need an extra Microsoft Adapter (Not Included) when connect with an old version Xbox One controller. 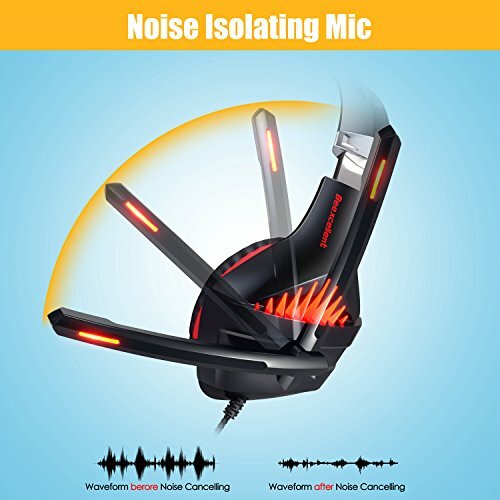 【High Precision Magnetic Driver】Awesome surround sound, splendid ambient noise isolation and high precision 50mm magnetic neodymium driver, makes you feel like you're right in the middle of your games. 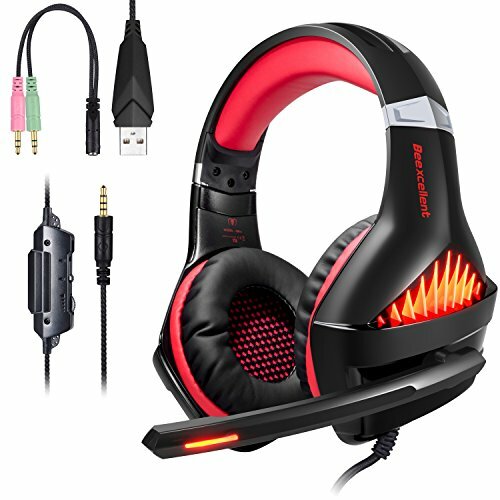 【Comfortable and Light Weight】 Comfortable ear cushions and reinforced headband guarantees hours of gaming comfort. 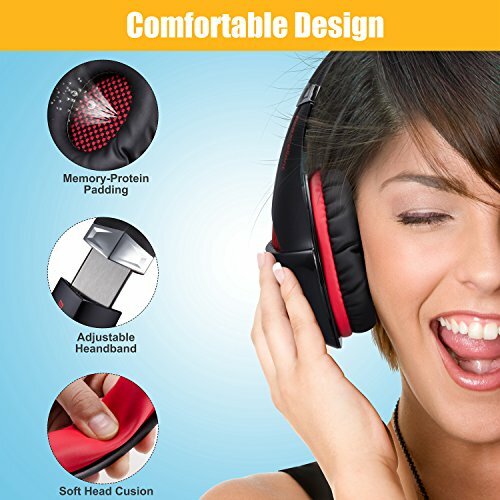 Closed earcup covers your entire ear and cuts out external sound effectively. 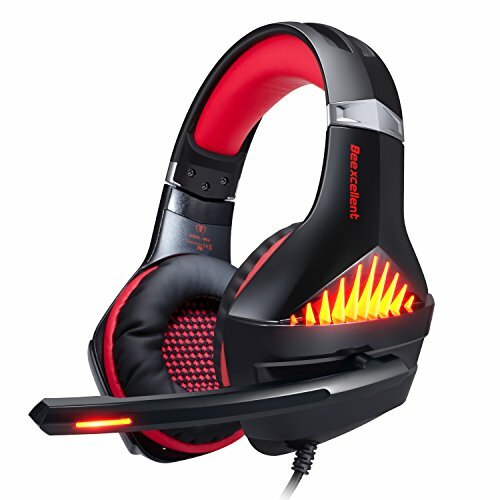 Glaring LED lights well active the atmosphere of your gaming. 【Long Soft Braided Cord】 Over 2.1 Meter! 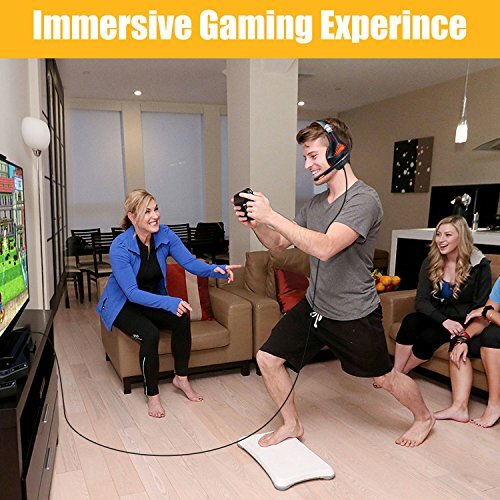 Which for a video gamer this is perfect, no need to sit right in front of the TV. 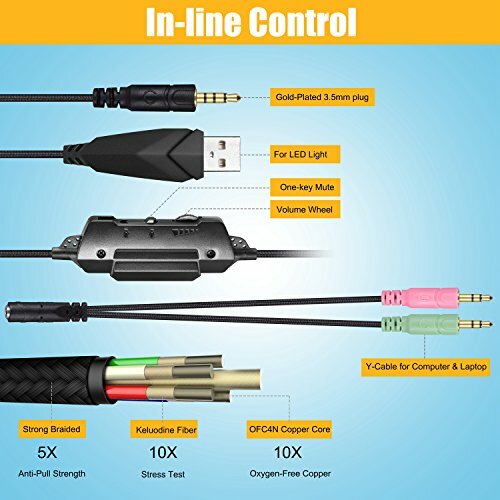 Having such a long cord allows for much more movement and be comfortably. If you have any questions about this product by BlueFire, contact us by completing and submitting the form below. If you are looking for a specif part number, please include it with your message.